We all know that different people experience pain differently. This is because the feeling of pain depends on the health of the person experiencing the pain. However, not many of us know that the pain reception of brain can be modified due to emotions. Let’s say for example that if the person is tensed or afraid, he will experience more pain than one who is very calm and relaxed. This means that the mind and thoughts of the person experiencing pain plays a vital role in the same situation, therefore the method you adopt to manage pain should include training both the mind and the body. It is important to approach the pain mentally and physically, in order to treat it efficiently. You should not concentrate only on treating the area in pain, but the whole body should be taken into account. With this approach, pain can be managed more efficiently. This is why recent therapy techniques are not either purely psychological or purely physical, but a mixture of the two. Medicine also plays a vital role in chronic pain management, but many of these medications have their own side effects. Usually, medications that fall within this category, NSAIDs, anti depressants, steroids, and anti seizure, are used to control pain and alleviate inflammation. Physical therapy is very essential for pain management. This treatment includes physical exercises, but if it is not done correctly and carefully, the pain can become worse. A pain relief center will be able to help you find the best exercise routine suited for you. With proper exercising techniques, you can build up your tolerance, which would then help you in reducing the pain quicker. Behavioral therapy aims at making the person aware of the pain and the causes of the pain. This type of therapy also helps the person to understand what can be done to alleviate the pain. Behavioral therapy will help a person to understand the role of pain in his or her life and to control it efficiently. All these therapies are used in conjunction to ensure a better, quicker pain relief. 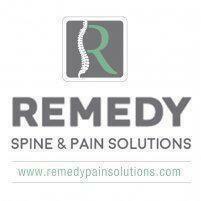 Get in touch with our experts at Remedy Pain Solutions in order to learn more about the procedures and to get rid of your pain.